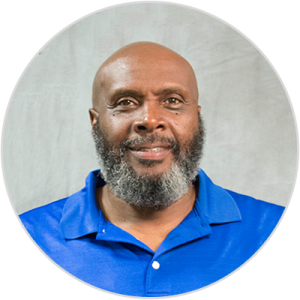 Dr. Leroy Gainey began teaching at Gateway Seminary in 1987. He currently holds the JM Frost Chair for Educational Leadership. Prior to coming to Gateway, Gainey was senior pastor at Central Baptist Church, Syracuse, New York, and a church planter in New Jersey. For 26 years, he served as pastor of First Baptist Church in Vacaville, California. He and his wife, Cheryl, have four children: Shana, Tamura, LaRae, Leroy, Jr.; Michael Lomax, son-in-law; two grandsons: Michael LeRoy Lomax and Martin Joseph Lomax; and one granddaughter Jasmine Thomas-Gainey.